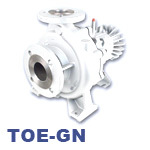 Speck TOE-MI Series Magnetic Drive Centrifugal Thermal Transfer Pumps are designed for the transport and recirculation of organic heat transfer oils on mineral and/or synthetic basis heat transfer applications throughout the world. 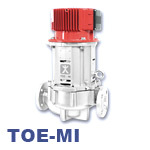 The TOE-MI Series from Speck Pumps are a vertical "inline" pump design with magnetic drive for applications where space is an issue. 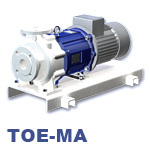 The TOE-MI Series are horizontal magnetic drive close-coupled pumps with end suction. 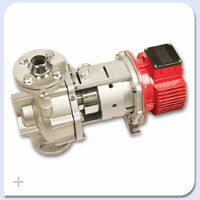 The Direct-Coupled design eliminates the need to align pump and motor shafts. 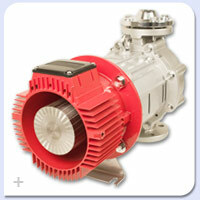 The Seal-less Magnetic Coupling design also eliminates any temperature misalignment or seal leakage. 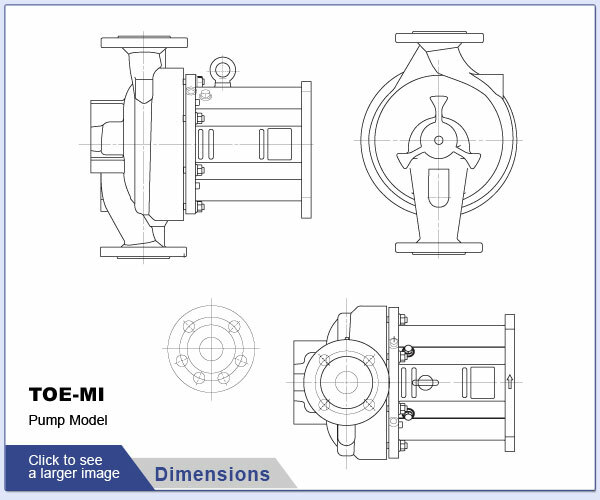 Suction and Discharge mounting flanges for the TOE- MI Series are drilled to ANSI specifications and the casing is made from ductile cast iron. 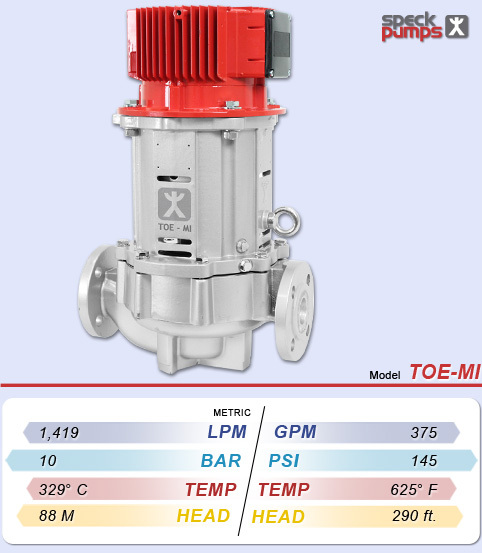 The TOE- MI performance data is impressive as well. 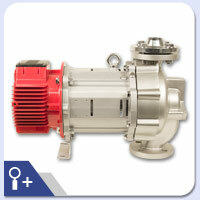 375 GPM, and 290ft. 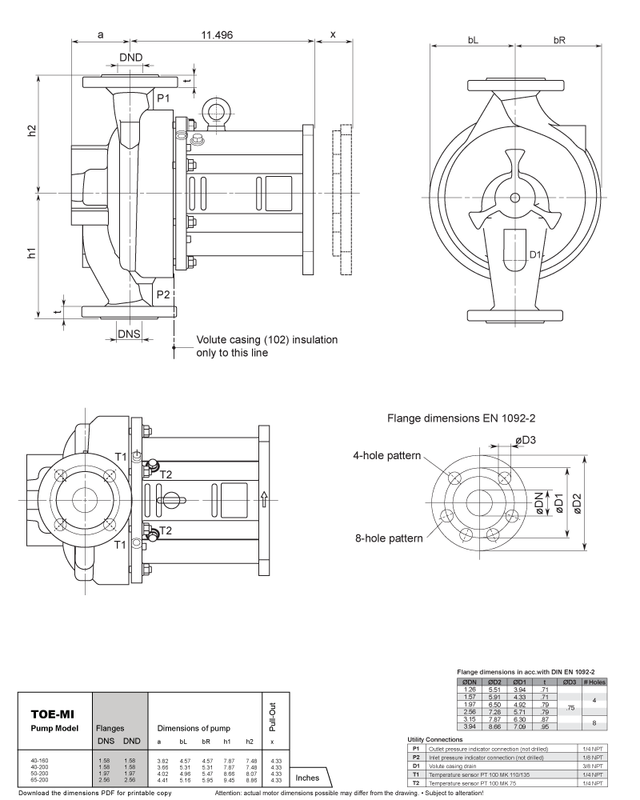 of Head with oil at temperatures of 625°F. 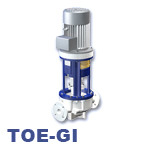 Suction and Discharge mounting flanges for the Speck TOE-MI Series are ANSI drilled. 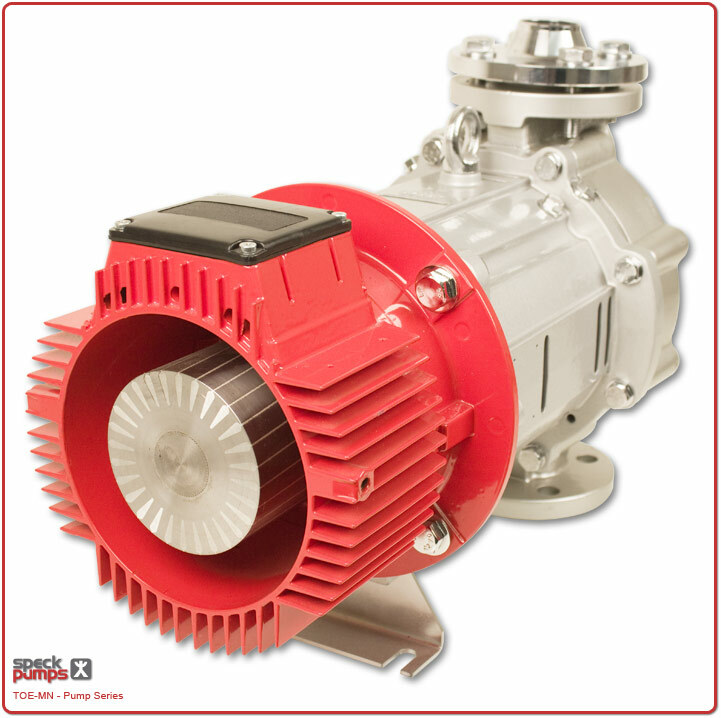 The robust design and construction of Speck Mag Drive pumps is due to a rigorous quality control system that begins at their manufacturing facilities where ISO:9001 requirements met throughout the entire manufacturing process resulting in a superior thermal heat transfer pump. 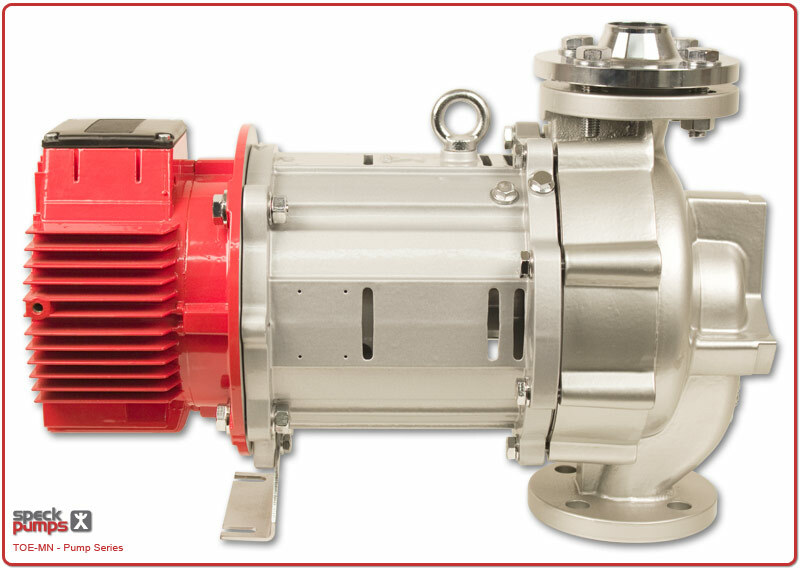 The design of Speck Mag Drive Thermal Transfer pumps allows for a pumping media that has little or no-abrasive contaminants and a pumping media that does not chemically attack the materials of construction of the Speck Pump in use. 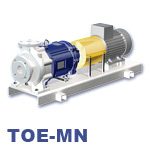 Speck TOE- MI Magnetic Drive Centrifugal Thermal Transfer Pumps are available to work in a variety of demanding industries where the movement of heated pumping media is required on a daily basis. 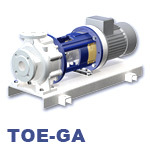 Facilities with large baking and frying ovens, heated agitator and mixing tanks, flat glass production, solar power generation stations and ORC processes as well as the color and dye industry all have systems that would benefit from a Speck Thermal Centrifugal Pump. 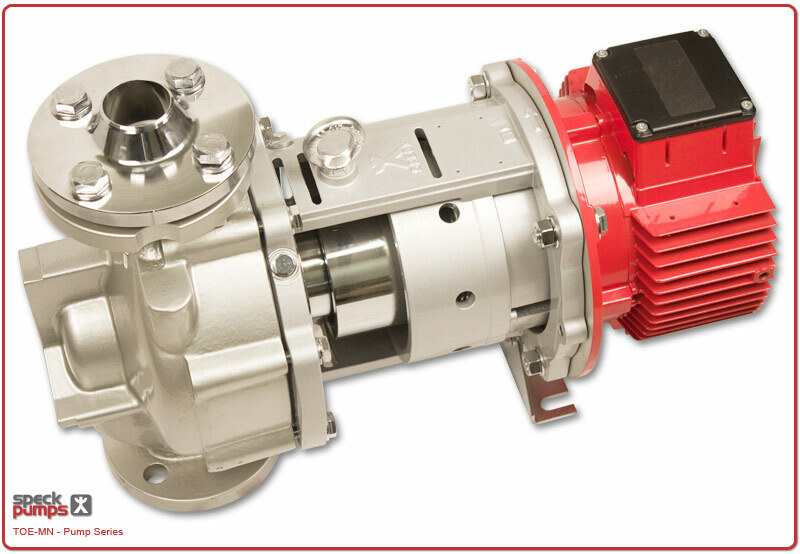 If you don’t see your industry here please contact a Shanley Pump and Equipment Representative today at 847-439-9200 and see if we do have a pump that’s right for you!